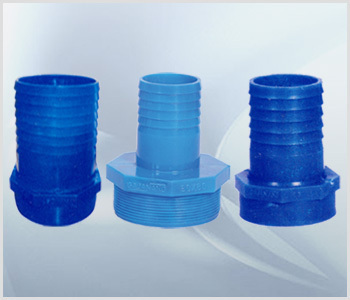 Hose Collar Couplings are used to connect the screwed end at one end & other end for fixing flexible hose pipes. Founded in the year 2005, we "Divyajyot Pipe Stores" are engaged in wholesaling, trading, importing and exporting a wide assortment of Ducting Hoses, Rubber Hoses, Braided Hose, Food Grade Hoses and Hose Clamps. These products are highly demanded in the market due to optimum performance and reliability. All our products are manufactured by industry experts using the top quality raw material and advanced technology, sourced from reliable suppliers of the market. To keep the quality up to the mark, we make these products under the supreme guidance of highly talented experts who have several years of experience in the industry.